The Atlantic halibut (Hippoglossus hippoglossus) are distributed widely throughout the northern Atlantic. Significant numbers swim off the coasts of Newfoundland and Labrador, the Gulf of St. Lawerence and Nova Scotia. The Atlantic halibut belongs to the Pleuronectidae family whose members usually have both eyes on the right side of their bodies. The halibut’s colouration varies from greenish brown to very dark chestnut. Halibut are the largest of the flatfish, in the wild they can grow to a length of 2.5 meters and weight more than 300kg. On Prince Edward Island, the commercial halibut fishery is only open for a couple days and is determined by the current management plan. 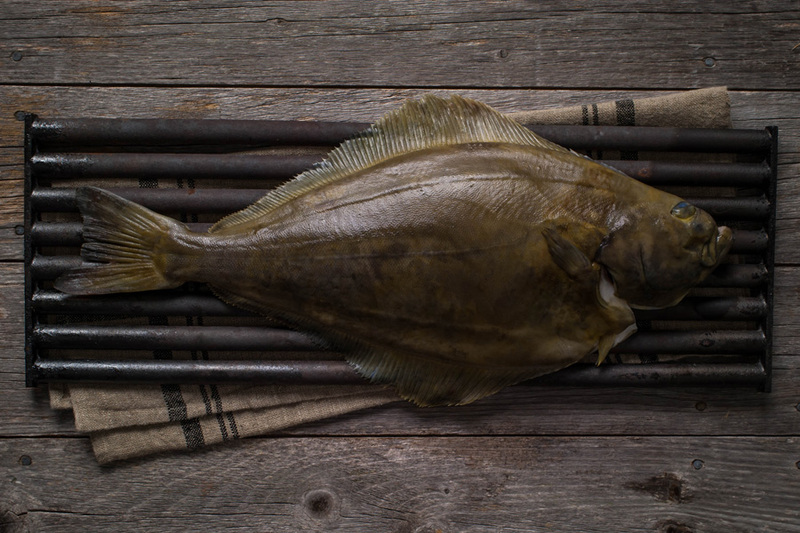 The current demand for Atlantic halibut has created a need for the development of halibut as a commercial aquaculture species on Prince Edward Island. In comparison to their larger wild counterparts, aquacultured Atlantic halibut on average reach market size at 3 to 5kgs. 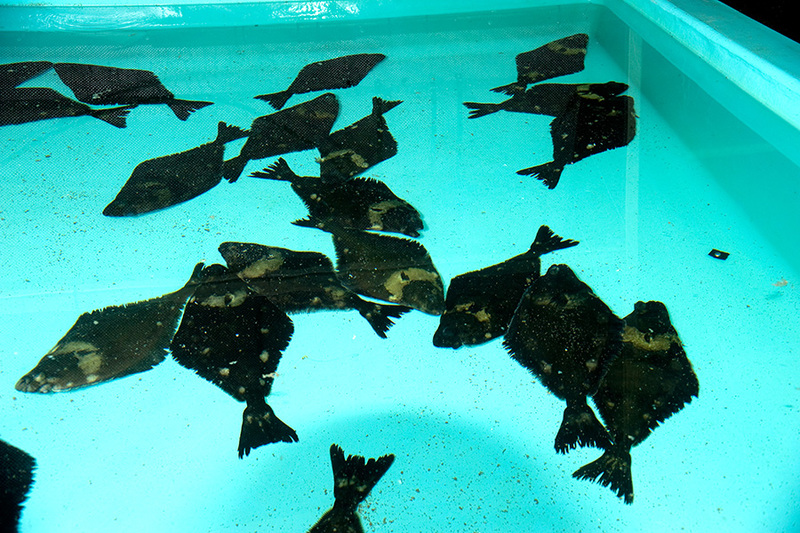 Aquaculture provides the production of halibut year round. 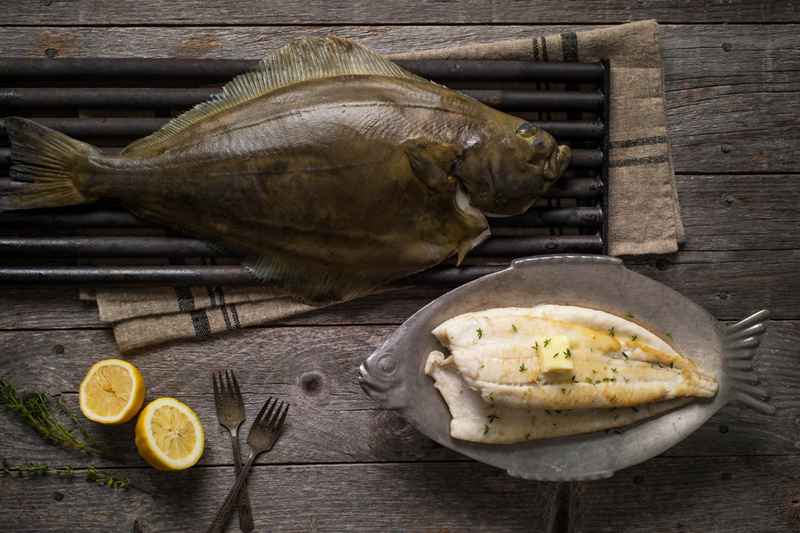 Halibut’s lean white meat with high nutritional value continues to make the Atlantic halibut a healthy favourite among fish lovers. Halibut can be enjoyed baked, broiled, barbequed and in countless recipes.